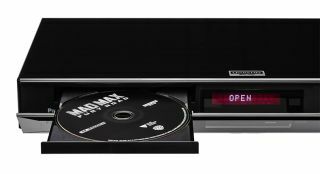 4K Blu-ray players to get Ultra HD Premium certification | What Hi-Fi? The Ultra HD Alliance says the Ultra HD Premium logo, which already appears on 4K TVs and discs, will now feature on certified 4K Blu-ray players. Logos and standards can seem confusing but the Ultra HD Premium stamp aims to make it clear to consumers that the product in question is capable of delivering 4K video of the highest standard. Now, following the launch of 4K TVs and 4K discs bearing the Ultra HD Premium logo, the UHD Alliance has confirmed the badge will be licensed to 4K Blu-ray players, too. Announced at the start of the year, Ultra HD Premium is all about ensuring hardware and software meets minimum standards, covering resolution, colour, brightness and more. LG, Panasonic, Samsung and Sony are all UHD Alliance board members though, somewhat confusingly, not all of the brands have adopted the new standard. Despite Sony's flagship 4K sets meeting the minimum spec, the TVs aren't currently carrying the logo. Flagship ranges from LG, Panasonic and Samsung will carry the logo, however, with some 30 TVs in total now said to be certified.